Wood flooring is becoming increasingly popular. It is durable, practical, easy to clean and enhances the look of every room. For these reasons and more, some type of wood flooring is found in almost every home today. Yet they do need proper maintenance to keep them looking great for years to come. While not needing as much care as textiles, wood flooring does need periodic maintenance to last. This is due to the construction of wood floors. By understanding the construction, we can clearly see the need for maintenance. Solid wood. This is the same piece of wood through the entire thickness of the board. Engineered wood. This is a board made with several thin wood pieces glued together, much like plywood. The top layer is a high quality piece that provides the final look. Laminate. This is a particle board with a printed wood grain picture glued to the top. Though commonly called a wood floor, this is not a true wood floor. Laminate flooring is constructed in layers. A moisture resistant backing, an inner core made from resin reinforced fiberboard, then an image layer (a picture of wood grain flooring), and finally a clear wear layer. 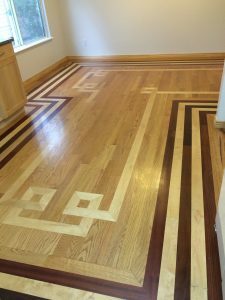 These three categories of floors have a type of hardened finish as the top layer. This layer is what absorbs the wear and tear of everyday life. This protective finish gets dinged, scratched pitted and otherwise damaged over the course of the floor’s life. Professional maintenance will extend the life of the finish and protect the wood beneath. The first step of our wood floor maintenance is a through cleaning. This removes the soils and contaminants that abrade your floor’s finish when walked on. Once the machine has gone over the floor it is clean and dry. This is a low moisture highly effective process. It does not use or leave behind excessive moisture that could damage your floor. For edges, stairs and tight spaces, we use a smaller detail machine to provide the same cleaning process. 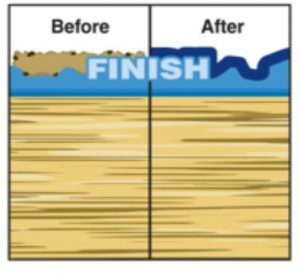 For Laminate floors this cleaning is the only maintenance available, since the manufacture’s wear layer is not compatible with finish renew products. For true wood floors, (solid wood and engineered wood) we can renew the original finish. We have two options to choose from. These are illustrated below. Renew Finish:. This product will add a thin layer of new finish to the floor. It will usually last about 1 year. It provides a uniform sheen to the floor, protects the original finish from wear for the period of 1 year. It can be walked on about 2 hours after application. Tykote: This two-step process will fill in scratches and imperfections in the floor’s FINISH, then provide a new layer of finish. It will last up to 5 years, protecting the original finish for that period of time. It can be walked on in 3-4 hours after application. 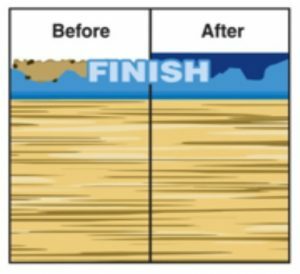 This maintenance system will keep floors looking great for years to come, making it possible to go many years longer until it must be sanded and refinished. However, it will not remove scratches in the floor that go to the wood, or discoloration in the stain, (for example in areas where a rug was on the floor). If products such as Mop-and-Glow™, Orange-Glow™ or another type of wax have been applied to the floor, it can sometimes be removed but not always. Some products such as Murhpy’s Oil Soap and other oils will make a floor incompatible with finishes. In these cases the floor will have to be sanded down and completely refinished. 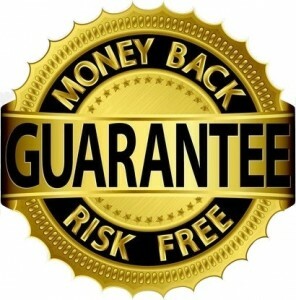 All our work is Backed by our Rock Solid Guarantee! Why Do we offer a 5 Star Guarantee, and a Money Back Guarantee? So you can relax and get your home cleaned without any stress.